The past 50 years has seen a revolution in our understanding of the brain. 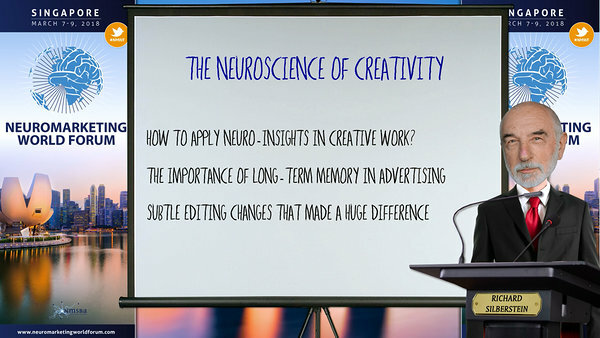 Now the vary neuroscience methods responsible for this revolution are being used to give us an insight into how the brain responds to creative content. But simply knowing how the brain responds to advertising is no longer enough. What marketers now need to know is how to apply these insights to make a real difference to the bottom line? In this presentation, Richard Silberstein will briefly review some important recent neuroscience findings on the nature of long-term memory. These findings shed important light on the brain activity measures most strongly linked to consumer behavior. This will be followed by two case studies illustrating how the Steady State Topography (SST) methodology was used to guide subtle advertising editing changes. Ads that performed poorly, turned into highly effective ones.